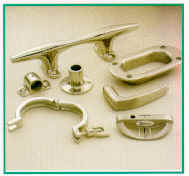 We offer Brass Copper Non Ferrous Gravity Die Casting Die Casting Brass Casting Foundry Brass Casting Foundries Brass Foundry Brass Foundries Copper Cast Parts Component Copper Casting Foundry Copper Casting Foundries Copper Foundry Copper Foundries Copper casting facility up to 40 kg's in weight and Brass casting up to 1meter in length. Our sand casting facility is well equipped to tackle any challenging Brass Casting job or Copper castings enquiry. We shall be pleased to develop Non-Standard castings Copper Brass casting Copper Bronze Castings as per specific requirement.